Snakes get a bad rap for being ugly and slimy, but they play a crucial role in maintaining the health of our planet. If you've got a budding herpetologist in your family, visit one of these six serpentariums. Does your kid have an obsession with things that slither and hiss? Snakes get a bad rap for being ugly and slimy, but they play a crucial role in maintaining the health of our planet. If you've got a budding herpetologist in your family, a visit to one of these six serpentariums can provide an educational and often hands-on encounter with snakes, lizards, and all kinds of reptiles. 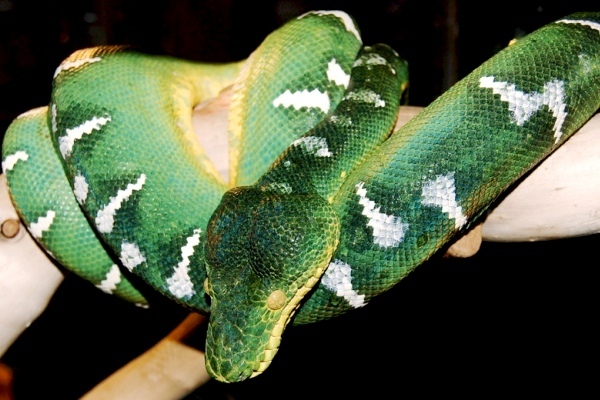 Surrounded by antique stores and horse-drawn carriages in the historic district of Wilmington, North Carolina, this snake zoo features over 40 rare and venomous species of vipers and cobras, plus dozens of giant constrictors. Each snake is given a danger rating ranging from two to five skulls, along with a placard describing how victims die if bitten. During weekend feeding times, handlers dangle dead rats over venomous residents such as the puff adder and 12-foot deadly bushmaster. For a less gory experience, pay a visit to a crocodile named Bubble Boy and learn how to escape a real croc encounter. Located just over an hour south of Minneapolis, the Reptile & Amphibian Discovery Zoo is one of America's newest serpentariums. Head to the "Know Your Neighbors" exhibit to learn about such harmless local Minnesotans as milk and garter snakes, as well as endangered species such as Blanding's Turtles. Enter "The Danger Zone" to watch as Bella, a 14-foot python, or Big Al, a 12-foot alligator, consume an entire pig. Hoping for something more hands-on? In the "Everglades Encounter," you can pet an alligator or snake from the Florida swamplands. Don't leave before meeting the zoo's most famous resident: Johnson, the albino boa constrictor that once belonged to Justin Bieber. About 85 miles northeast of San Francisco, this zoo is home to a cast of flamboyant characters. You can feed Splash, a six-foot water monitor lizard who leaps into his pond after feedings; snap photos of your kids holding Crazy Legs, an 11-foot albino Burmese python; or watch a panther chameleon named Crayola change colors to match your shirt as he crawls up your arm. This serpentarium breeds 50 different species for purchase, and your admission price can apply toward a new pet. Just 25 miles from Disney World lies a working venom farm with over 60 species of cobras, mambas, rattlesnakes, and giant pythons. During twice-daily venom "milking" shows, half a dozen snakes are pulled out of boxes and persuaded to release their poisonous fluid into containers that range from Big Gulp-size for cobras and rattlers to test tube-size for little coral snakes. 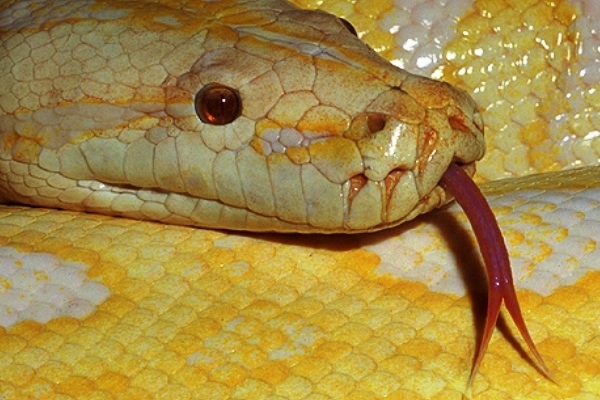 The venom is shipped to universities and pharmaceutical companies for research and anti-venom production. Feeling adventurous? After the milking show, you can step up for a hands-on experience. 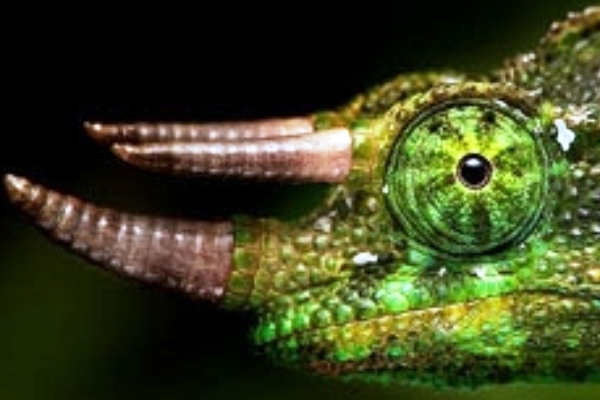 Reptile World also showcases alligators, crocodiles, turtles, iguanas, and some parrots. You'll find few warning signs at this touchy-feely reptile zoo, located 40 miles northeast of Seattle. All the snakes have been surgically de-venomized, so you can hold anything from a heavy ball python to a salmon-colored red corn snake for as long as you like. At the tortoise exhibit, kids can reach in to pet the animals and handle reptile skulls, turtle shells, and empty egg cases. --Ellen Nordberg of Treading the Twin Tsunami contributed this to MiniTime.com.